Mary Caroline Monroe died July 30, 2011 after a long illness. Born in Torrington in 1942, she was the daughter of the late Arthur J. Monroe and Edna (Dexter) Monroe. A graduate of Torrington High School and the University of Connecticut, she began her career in medical technology at Waterbury Hospital, where she worked and taught for 24 years. She earned a teaching degree at Central Connecticut State University and taught biology and human sciences at Tunxis Community College from 1990 until her retirement in 2007. She was a member of the Torringford and Winchester Granges for 51 years, holding positions in both, including that of Master (President). She belonged to Mountain County Pomona Grange #4, the Connecticut State Grange, the National Grange and sang with the Mountain County Choristers for many years. She is survived by her sisters, Susan Kline of Torrington, with whom she resided, and Martha M. Babbitt of Litchfield. Also surviving her are nieces, Sarah Babbitt and husband Mike McGraw of Medicine Bow, Wyoming, Lydia Babbitt and husband Conrad Sienkeiwicz of Torrington, and Catherine LaTulipe and husband William of Canton. Nephews surviving are Jonathan Babbitt and wife Lisa of Portsmouth, Rhode Island, Bradford Babbitt and wife Janet of Canton, Matthew Kline of Torrington and Arthur Kline and wife Tamson of Unity, New Hampshire. She is also survived by 14 beloved great nieces and nephews. A memorial service will be held at Center Congregational Church in Torrington, on August 10, at 2:00 p.m. 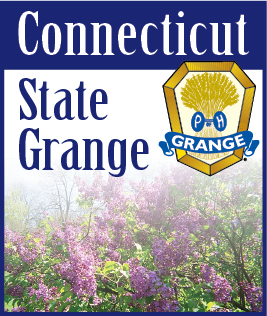 In lieu of flowers, donations are requested in Caroline's memory to The Winchester Grange #74, PO Box 155, Winchester Center, Connecticut, 06094 or to Center Congregational Church, 155 Main Street, Torrington, Connecticut, 06790.